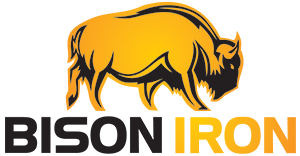 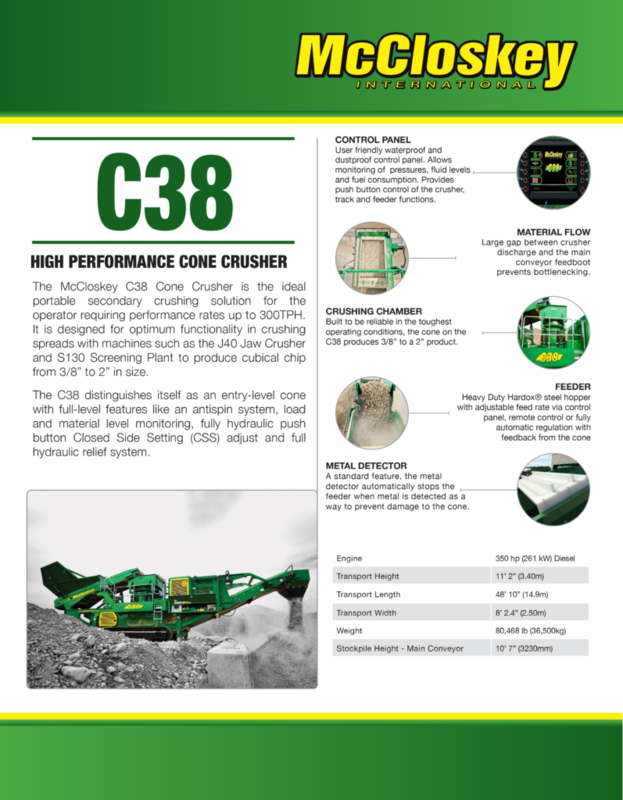 C38 CONE CRUSHER – Bison Iron Corp. 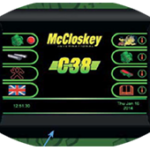 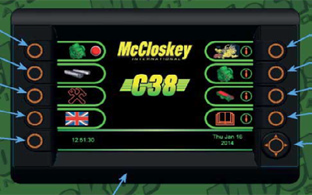 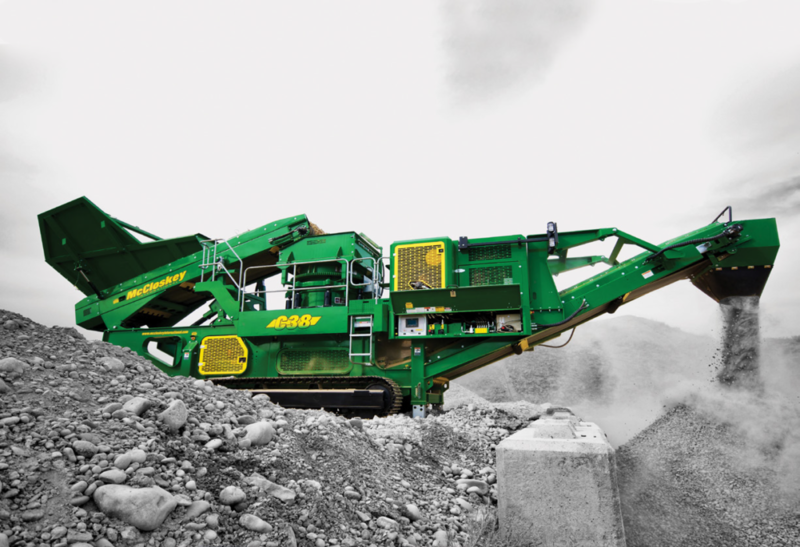 The McCloskey™ C38 Cone Crusher is the ideal portable secondary crushing solution for the operator requiring production rates up to 300TPH. 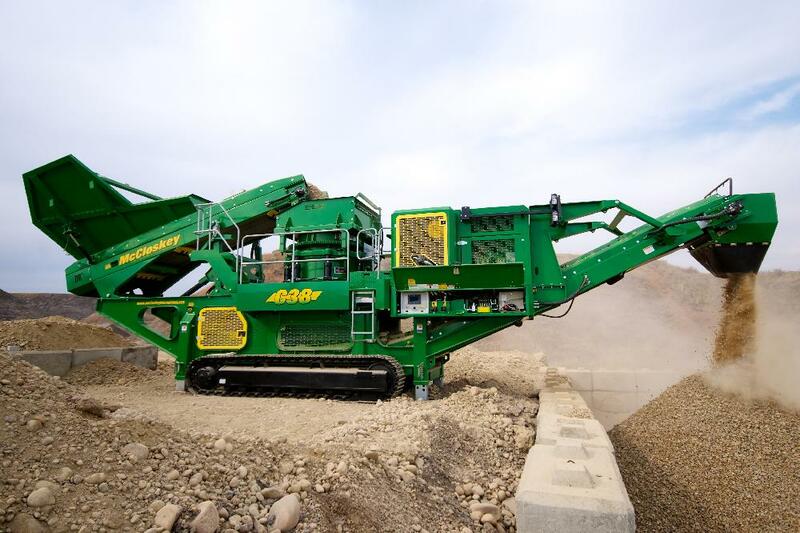 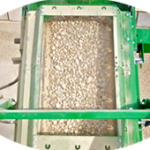 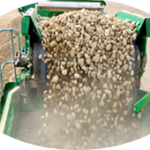 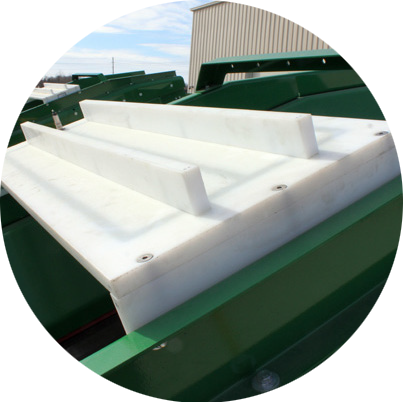 It is designed to function in crushing spreads with machines such as our J40 Jaw Crusher and S130 Screening Plant to produce cubical chip from 3/8” to 5” in size. 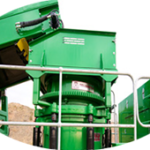 Our C38 cone crusher distinguishes itself as an entry level cone with full level features, such as: An anti spin system, load and material level monitoring, fully hydraulic push button CSS adjust and full hydraulic relief system. 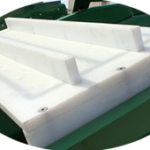 Large gap between crusher discharge and the main conveyor feedboot prevents bottlenecking. 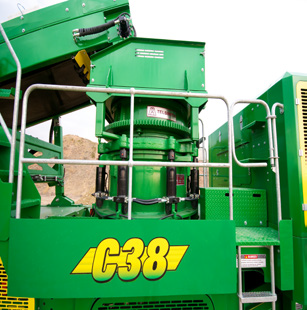 Built to be reliable in the toughest operating conditions, the cone on the C38 produces 3/8” to a 2” product. 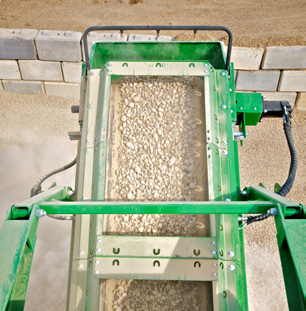 Heavy Duty Hardox® steel hopper with adjustable feed rate via control panel, remote control or fully automatic regulation with feedback from the cone. 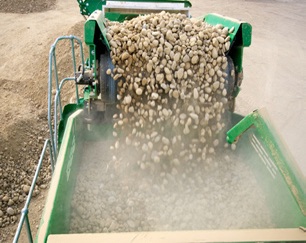 A standard feature, the metal detector automatically stops the feeder when metal is detected as a way to prevent damage to the cone.